June 3, 2014: Yesterday the Louisiana Legislature ended its 2014 session. 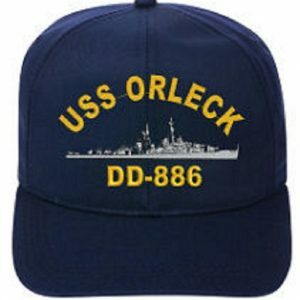 Among the major accomplishments was passage of a resolution recognizing USS ORLECK DD 886. 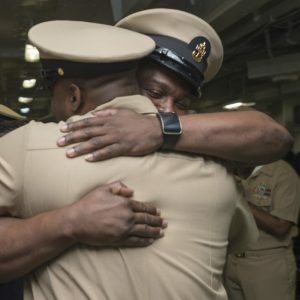 The action by the Louisiana State Legislature serves as a tribute to the thousands of sailors, who left their homes and answered their nation’s call to arms. For those who made it possible, we give our thanks. For all who served our country we give our gratitude. For those, who during her thirty seven years of service to the United States of America served aboard her, we give you our respect! For those who served during the Vietnam War we welcome you home and thank you for your service. For those who served aboard her during the additional sixteen years of service to Turkey, our close NATO ally then, we were grateful for your service to a free world and appreciate that you took good care of her and returned her to us so that today, through her, those who dedicated themselves to our freedom during the Vietnam War could be honored. Come to Lake Charles to visit her and help in the ways you can to further her history not only as a Vietnam warrior, but as the finest and most decorated Gearing Class Destroyer in our country’s history, service that spanned from World War II, Korea, Vietnam, peacetime and Operation Desert Storm. .
Work with the USS ORLECK NAVAL MUSEUM INC., the DESTROYER USS ORLECK DD 886 ASSOCIATION and the USS JOSEPH P. KENNEDY DD 850 ASSOCIATION, whose leaders and members are dedicated to a future when the USS ORLECK DD 886 will be properly preserved as the premier Westpac Vietnam era warship. To commend and recognize the distinguished military history of the USS Orleck, docked in Lake Charles, and to designate the USS Orleck as the Official Vietnam Memorial Museum Ship for the State of Louisiana. WHEREAS, her presence in Lake Charles is a real monument to those who went, served, and gave such sacrifice for our country; is the last of her kind; and her epic service should be recognized by making her the Official Vietnam Memorial Museum Ship for the State of Louisiana. 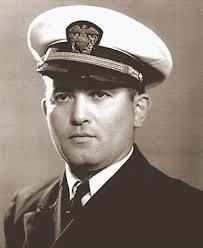 THEREFORE, BE IT RESOLVED that the Legislature of Louisiana does hereby commend and recognize the distinguished military history of the USS Orleck, docked in Lake Charles, Louisiana. BE IT FURTHER RESOLVED that the Legislature of Louisiana does hereby designate the USS Orleck as the Official Vietnam Memorial Museum Ship for the State of Louisiana. 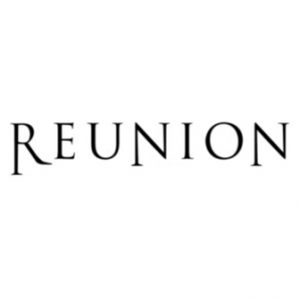 BE IT FURTHER RESOLVED that a copy of this Resolution be transmitted to Ron Williams, executive director for the USS Orleck Naval Museum, Inc.
*When made available we will publish the actual original document.